People assume risk managers are risk adverse, but I never saw risk management as risk avoidance or risk aversion. To me, risk management is an enabler of risk, not its adversary. Risk management is just good management: assess the risk of an initiative, if it’s worth taking, do it, but mitigate the downside risk, maximize the upside risk, and the result is success and profitability. When we started in 2006 I had been the Risk Manager for the City of St. John’s, an insurance broker, a risk management consultant, a claims adjuster, and an entrepreneur, and I felt an irresistible pull to risk everything and start a risk management software company. I am not a techie, and my only business ventures to that time were one or two-person consulting operations. I had three kids under 5 and my youngest, my daughter, was only 3 months old, and a very conservative wife! We had a new house, a steady job with good benefits, and a pension plan. Despite all the downside that everyone else saw, I only saw opportunity. It was the early days of Cloud based software and Software as a Service (SaaS), and the risk and insurance industries were dinosaurs in terms of technology and innovation. As a risk manager I needed software to help me organize the administration of our claims, assets, and risk management initiatives. But more importantly I needed data and meaningful insights from it to help me do my job effectively. I had no budget for software, all the available solutions were legacy systems that were installed and very cumbersome and prohibitively expensive. I was very involved in risk management peer groups and boards, and all of my risk manager colleagues had the same problems. What better market validation does an entrepreneur need? Having (in my mind) adequately assessed the risk, I took the leap, confident that I could manage the downside and upside risk successfully. Fast forward 12 years. With the dedication and sweat of a lot of exceptional staff, the faith and help of investors, lenders, and advisors, and the support of hundreds of customers, things are going quite well at ClearRisk! We work with exceptional risk management and claims professionals every day, helping them be more efficient and effective in their jobs, and giving them meaningful insights that help them manage risk and make their organizations more successful. That means fewer people hurt, less property damaged, reduced costs, and increased opportunities. We’re very proud of that! 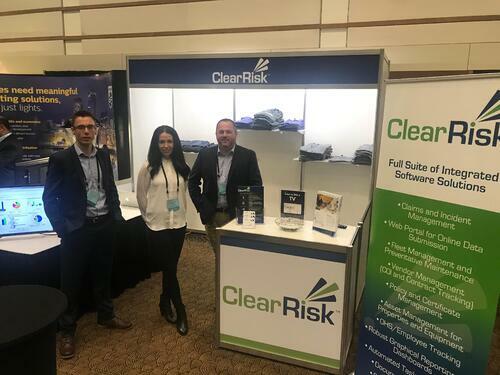 ClearRisk set out to make risk management more accessible, easier to use, and modern in its technology and business model. Every day we are looking for ways to improve, to add more value to our customers, new features, product enhancements, and improved service. Our data analytic capabilities are a high priority these days, as new tools allow for data to be more richly mined in real time to find meaningful insights. These are exciting times for ClearRisk as Insurtech has become one of the fastest growing tech sectors, and as cloud adoption and computing capabilities continue to rise rapidly. We look forward to many more years of solving problems, managing and taking risk, and to putting valuable risk management tools in more hands. I’m glad we took the risk to do our small part to help manage risk. Thanks to everyone who continue to believe in us and for being part of the ride!